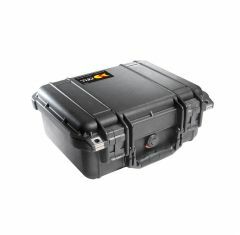 The solid, compact range of Small Peli Cases we stock here at Absolute Casing are designed to protect the smaller, more delicate items you have in your possession. 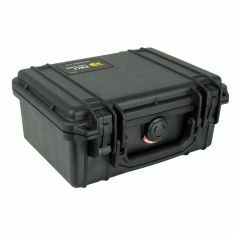 Our selection of Small Peli Cases provides a waterproof, dust proof and crush proof place for your items while you transport them from one place to another. This collection is also resistant to chemicals and is corrosion proof too. Regardless of the conditions or environments your case will travel through we assure that your valuables will be safe and secure inside. 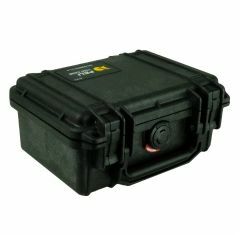 Despite being so lightweight, the Small Waterproof Cases we provide are incredibly strong, so you can rest assured that your property is being housed in a tough and durable small protective case. 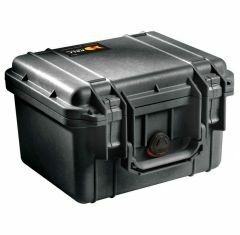 Manufactured out of a rigid polypropylene plastic, all our Small Peli Cases come with a lifetime guarantee of excellence and are fastened tight shut with double throw latches. 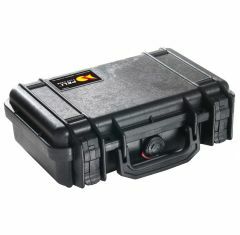 The range is available in a number of colours and each case can be configured to include a selection of foam fittings which offer further protection to your belongings inside. We are confident you will be able to find a case that meets your requirements but if you cannot, or if you simply require further information on our assortment of products, then please feel free to contact us on 01635 579 518. You can also get in touch by emailing sales@absolutecasing.co.uk. 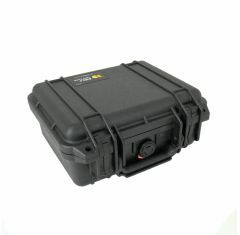 Alternatively check out our full selection of Peli Waterproof Cases.